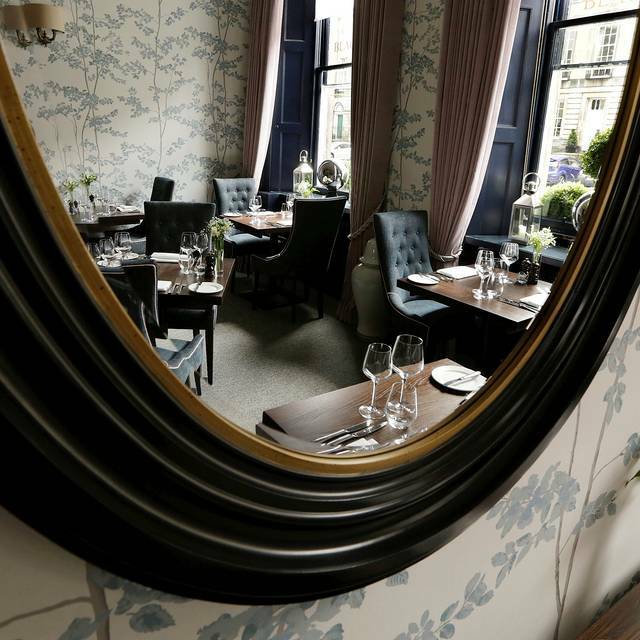 miles to a minimum, our Chef goes out of his way to create succulent Scottish dishes. We specialise in authentic, Scottish, natural, elegant, chargrilled dining using our Josper grill at its heart - The Josper oven burns charcoal at high temperatures to retain food’s natural moisture and flavour. All of our produce is sourced locally and selected for its quality. Beef from Buccleuch Estates and Fish from Eddie's Fish Market in Marchmont are only two of our local suppliers. Cote de Boeuf for 2 to share, served with Dauphinoise potatoes, seasonal veg, sautéed mushrooms, bearnaise, red wine reduction for £44 per couple. Food and wine was delicious! The staff were very nice and efficient. Enjoyed our night!! Chicken supreme main, starters and pudding were delicious. Prices were on the high side, but good food, faultless service and quiet atmosphere make it a treat. Wine selection and whiskies were a bonus also. Absolutely fantastic Place to eat. Wonderful customer service and food! We have three people who all ordered different types of steak. But the steaks are overcooked and dry. Quite difficult to swallow. And the price was too high for what you get. Overall, an unpleasant experience and would NOT recommend. Food was very good, just a lack of customers the problem. I’d recommend them doing a chateau de Beouf and a bottle of wine for 2 for £60. That might get the customers in. Unfortunately, I have to say, one of the poorest dining experience of my life. Apparently lovely food but ribeye poorly cooked, fries uncooked. Received a gift of a voucher for chateaubriand for two with fizz and tried to book using the live chat, as I had a query I needed answered before I wanted to go ahead with the booking. This didn't seem to be working effectively and advised me to book a table through the the online booking site. I received a call a day or two later following up on the enquiry. I visited in a party of four adults and we were the only people in for dinner at 6pm on a Saturday night so there wasn't much atmosphere. That said, the new wallpaper, curtains and seating were very nice. We elected to stick with just the chateaubriand and I'm so glad we did. The sharing wooden platter which the main course for each couple arrived on was groaning with meat. When we have dined on the chateaubriand on two or three occasions previously it was been melt in the mouth and a generous portion. This time it was quantity over quality. There was twice as much meat as was required but the quality was not as nice as we had had previously -so much so, we took the remainder of the meat home-enough for another meal. The parsnips, carrots and green beans were overlooked. The chips were tasty but lacking in quantity. The tomatoes on the vine were tasty. Both sauces were tasty too. The waiting staff were friendly but the younger man seemed to be suffering with nerves and was very shaky-which he acknowledged. Was 20 minutes before anyone even showed us a drinks menu, in the end I had to go up and ask myself. One waiter seemed to be actively avoiding eye contact when we tried to get his attention. The waiter that served us eventually was at least then good and the meal was ok.
Das Restaurant hat ein tolles Ambiente, dem das Essen in keinster Weise gerecht wird. Very disappointing visit. Standard has fallen significantly sincr my first visit in 2014. Owners too removed from the business to care. We got the £49 deal for the chateaubriand for two. It was amazing!! Awesome staff to. We returned as the Chateaubriand was so good last time we visited and such great value as we got the deal for 2 sharing. This time however the meat was really strange. Didn't taste at all like last time and meat was tough and hard to cut into and had a strange thick skin. Tasted smoky and not even sure what the meat was but we were really disappointed. The seafood starter was good and the dessert was nice but portion of ice cream served with chocolate fondant was so small it was embarrassing. Good service but shame about the food. Will be a while before we return and won't ever order the chateaubriand again. Located in the Blackwoods hotel, this restaurant does suffer from being off the main drag and a bit quiet. If you are looking for a hot spot bustling with locals, this may not be for you. That being said, we enjoyed our meals. The fish was perfect. We had haddock, over samphire greens, absolutely delicious. There was a salmon salad, dressed in a balsamic dressing and citrus, nice compliment to the fattiness of Scottish salmon. We also really enjoyed our host, who was warm, funny and very helpful. We had the chateaubriand special and was fabulous. Great food, wine and service. 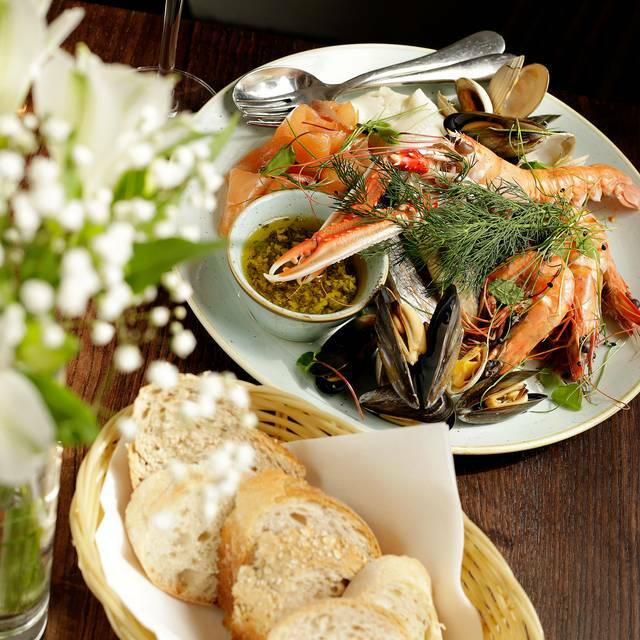 Really cosy intimate dining and excellent value for the quality. Highly recommend! Chosen for our son's 18th birthday as he loves a steak - we were here for his 15th birthday! Venison and pigeon starters were gorgeous but the tomato salad was a little lacking in excitement, especially at almost the same price. We ordered 1 x chateaubriand and one fillet steak but were not asked how we wanted them cooked when we ordered, however, they were all lovely. We had to remind them about the portion of chunky fries to go with the steak. Small dessert menu but only son wanted so not a problem. A lovely evening but a little room for improvement. Beautiful setting in a Georgian townhouse with high ceilings. Food is presented well, and service was attentive (it was not a busy time of the evening). My only complaint was that the steak was overcooked compared to what I'd consider medium rare, but the good quality of the meat made up for it. I have written on the website for the above restaurant. We were there on Saturday night . Service was very good and the gentlemen serving our table were very polite and knowledgeable re the source of the food. Both my husband and I had starters and both order steak for our mains. I had the Fillet and my husband the Sirloin. My fillet was not superb, It did arrive cooked to my specification however there was stringy bits and also some fat which I would not have expected with the steak costing £36 this was including 1 side and a sauce for the steak. I ordered a portion of lean beans. As I say the service and food apart from the steak was good. I know everyone is different re meat choices however I have purchased steak in both Morrisons and M&S and never experienced them being stringy or fatty. It is not that I would not recommend your restaurant but I would be telling them of my experience. Also although it does say on your website that casual is acceptable there were a few clients under dressed in our eyes. Catch up meal with a great friend- food was great and ambiance was lovely for us to chat and catch up. Lovely ambiance, waiting staff first class and fact they support local produce and brewerys makes it more special. Would definitely highly recommend a visit. Sampled the chateubriand deal £49 for platter for 2 which was more than enough for 2 steak lovers. 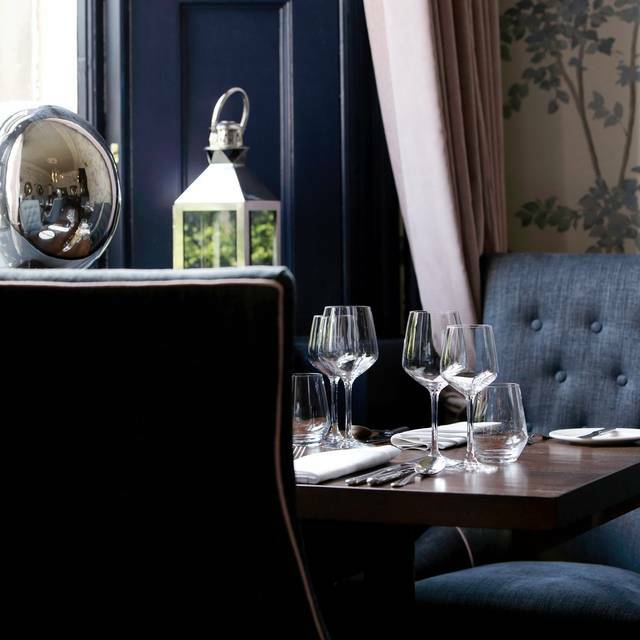 Get yourself down there then wander into Stockbridge which is minutes away . We came here for our monthly date night and left a little disappointed with the whole experience. First of we were shown to our seats and sat with menus then we waited for for about 25 minutes for our drinks order to be taken - Drinks came quite quick after that but then we waited another 10 minutes for the food order. What took us a little by surprise was how loudly our server was talking - It seemed that he wanted the whole dining room, which was quiet, to hear him. Our starter was the venison, smoked duck, crispy duck & smoked chicken which was very strange - Crispy duck leg was not crispy and looked terrible. Full of gristle and fat and not very appetising at all. Our main course was delicious and made up a little for the starter but we then needed more drinks and were almost finished our main course by the time we could attract his attention. All in all a little disappointed in what we thought was going to be a great experience. Our visit was disappointing to say the least. I have already put a review on Trip Advisor and would rather not go through th experience again. Excellent value chateaubriand deal which was as delicious as all previous visits. Not impressed to be told -as we ordered - that our table was needed back within 2 hours ... then 15mins before the 2 hour deadline we were told the table wasn't needed and we could stay as long as we wanted! Wine list was also limited with wines 'sold out' at 7pm on a Saturday night. Hoping this visit was just an off day for front of house as it's a favourite place for us to go for a special treat dinner. 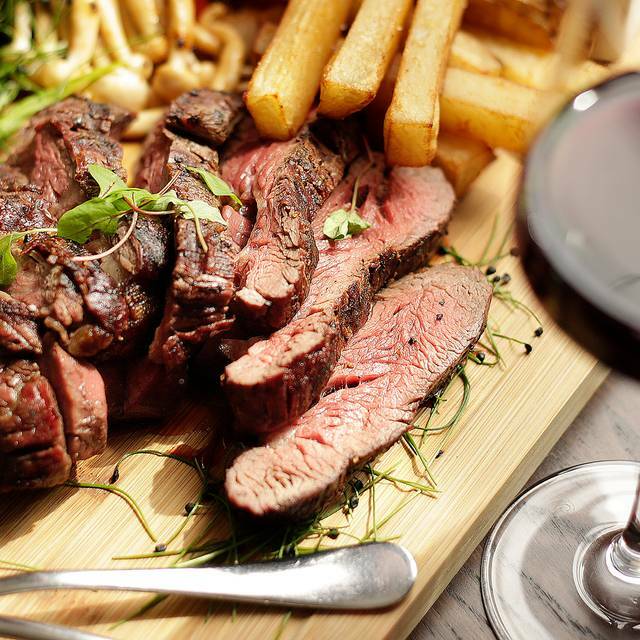 Amazing value with the chateaubriand £45 for two deal. So much food! Excellent chargrill-roast-smoky flavour from the specialist oven, a real treat. Staff also deserve a mention - friendly, chatty, knowledgeable and not imposing. Last night in Edinburgh and we were looking for a smaller, more intimate dining venue. Blackwoods was perfect! We started in their lounge area for a cocktail and later moved to our table. Shared Chateaubriand for two. Perfectly medium-rare with all the trimmings. Service was excellent! Highly recommend for a special evening. Lovely restaurant with tasty Scottish menu. Ambience was is atmospheric. Chateaubriand for 2 was delicious. Incredible meal. The mussel appetizer was delicious with an unbelievable sauce. The salmon dinner was scrumptious! My friend had the stuffed squash and it was incredible,'I've never had anything like it. The portions were of good size, the atmosphere was chic and cozy. Would highly recommend! We loved the elegant atmosphere and fish prepared just right. Fantastic food and nice cocktails. 15 minutes late seating us & the waitress was extremely slow, took 15 minutes to get a menu and then another 20 minutes for the bill. The food was fantastic and the service, although warm, was a bit too informal. This is a restaurant within a hotel so expect higher prices. But superb food & lovely staff. first class event, the meal was excellent ,as was the service .would certainly go again.